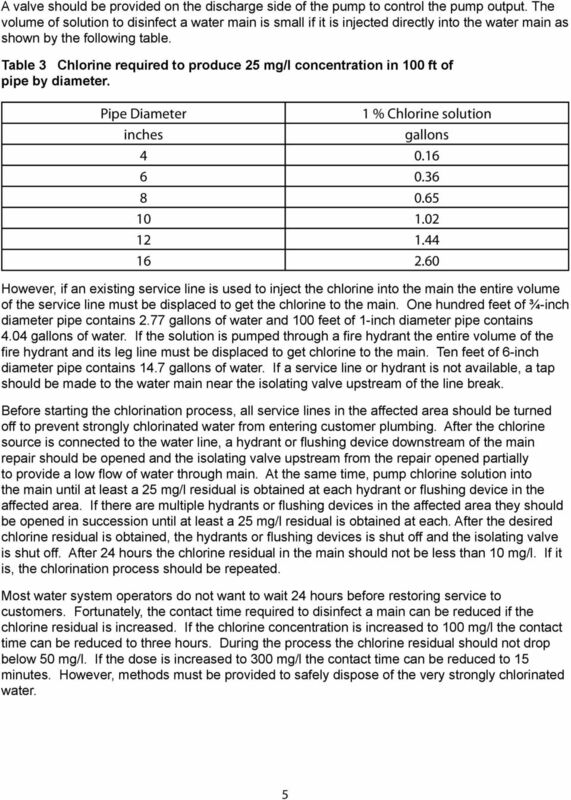 Download "Repair and Disinfection of Water Mains Water Protection Program fact sheet"
FAQ and Device/Usage Chart. What Is a Cross-Connection? 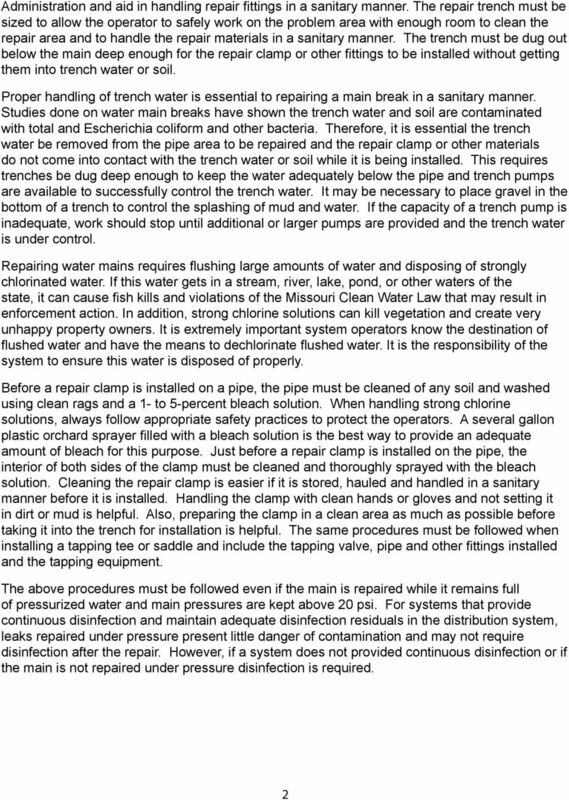 What Is Backflow Prevention? 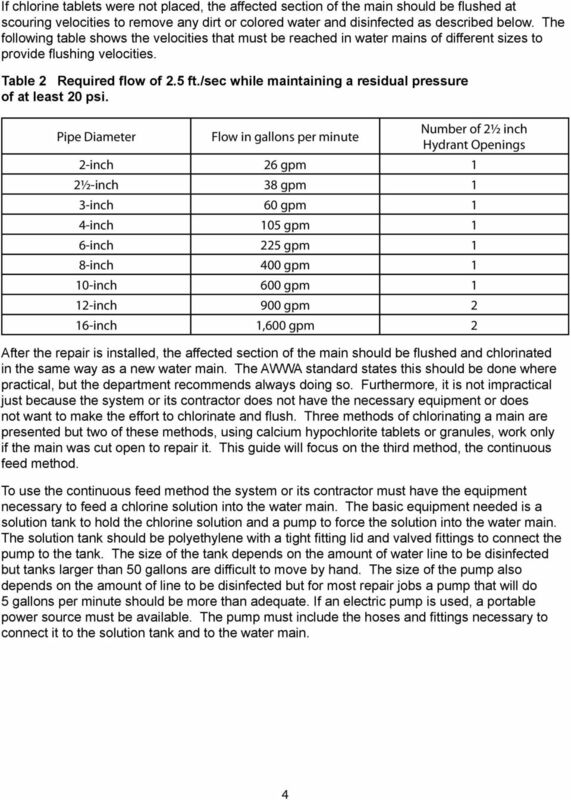 What Is Backflow? What Is a Cross-Connection? 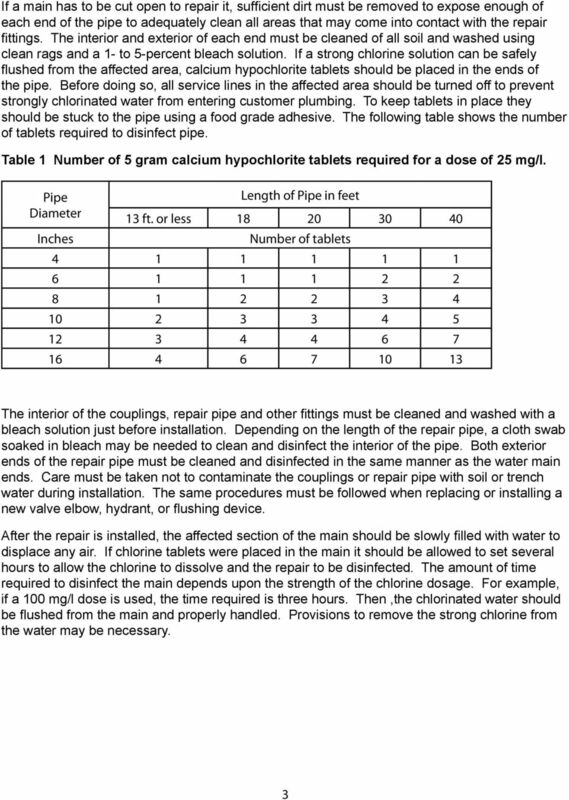 A cross-connection is a direct arrangement of piping that allows the potable (safe drinking) water pipe to be connected to a pipe supply that contains a contaminant or pollutant. 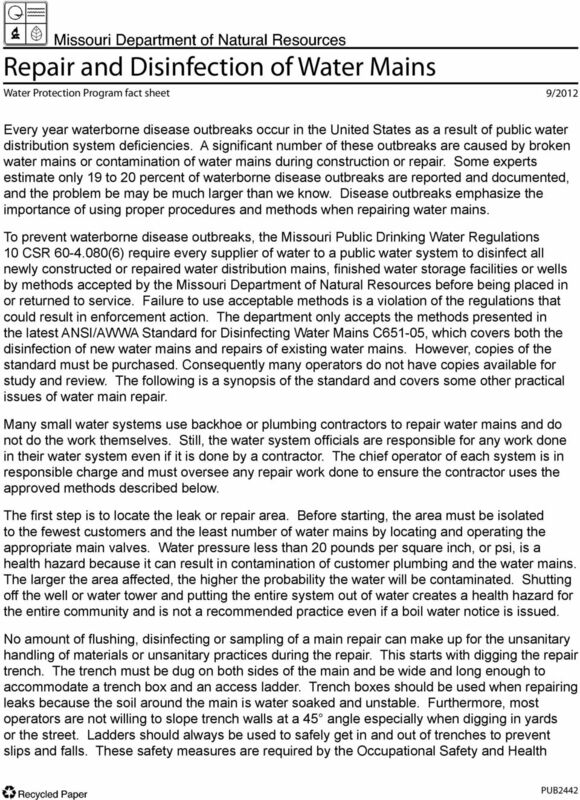 Wastewater Wastewater Who to ask: wastewater operator, health aides, public health nurse 35. Have there ever been any outbreaks of sewage related diseases in the village? If yes, what diseases and when? 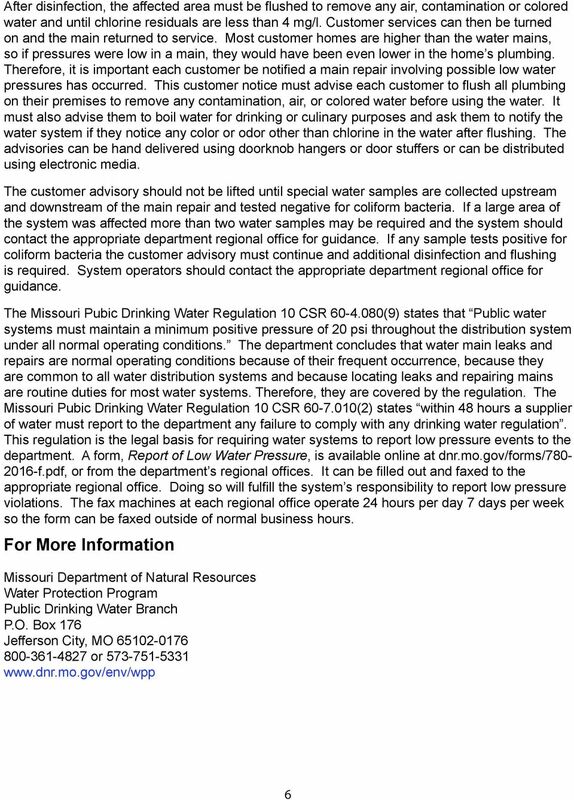 Chesterfield County, Virginia How to Locate and Stop Costly Water Leaks Water leaks are a waste of a valuable resource: pure, clean drinking water. An undetected leak may result in a costly utility bill.